Happy Holidays in San José: As a Costa Rican who loves this small, beautiful paradise, I feel absolutely blessed that my birthplace is so rich in nature, culture, customs and folklore. It’s a proud heritage, nurtured by humble people committed to keeping alive the abundance of time-honored traditions for future generations. 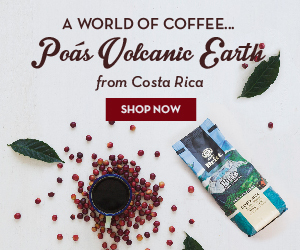 When it comes to celebrating the year-end holidays, or “fiestas de fin de año”, there are so many uniquely Costa Rican flavors and flourishes that make the experience truly special. With a predominantly Roman Catholic population, it’s a country where holy days, or “día de los Santos,” are taken seriously but in the most festive-spirited sense. In fact, “fiestas” have a symbolically religious significance, bringing families together from all different parts of the country to celebrate Christmas and New Year’s. Other reasons to celebrate are the end of the school year and vacations being around the corner for both private and public sectors. The delicious smell of tamales can be found wafting from almost every corner of the country. These are not just any tamales, but the traditional Tico version of a corn flour tortilla filled with stew ingredients — likely from a treasured family recipe — and wrapped in banana leaves. Tamales are a must-have taste treat, synonymous with Christmas in Costa Rica. High season, starting in November, is so-named for the upsurge in national and international tourists. An obvious draw is the transition to the drier and sunnier weather in December and summer’s onset in January. But what better time for Costa Rican vacation plans to include joining in the local holiday festivities? San José, translated as “Saint Joseph” and named in honor of Joseph of Nazareth, is Costa Rica’s capital and largest city. As the biggest population hub, it is where most holiday events, concerts and fiestas take place. The museums, schools, universities, art galleries, water parks and multi-cultural attractions, as well as colonial infrastructure, set San José apart as the ideal vacation spot for adults and children alike. Festival de la Luz • Dec. 15 at 6 p.m. In its 23rd year, San José’s “Festival de la Luz” (Festival of Lights) is unlike any other celebration in Costa Rica, attracting over a million spectators annually. Each year features a different theme with a parade of floats, masquerade dancers, typical Costa Rican bands and dancers and fireworks. This festival is associated with the capital city’s year-end festivities. It all starts at 6 p.m. with fireworks from the roofs of the tallest city buildings. The parade can be viewed anywhere along its two-mile (3.2 kilometer) route, starting from the Gimnacio Nacional and entering Paseo Colón to reach Plaza de la Democrácia. This end-of-year celebration, also known as a mega-fest, takes place in the eastern San José district of Zapote. Lasting 10 days, a variety of activities are offered for all tastes and ages — a little bit of everything. That includes the famed Tico-style bull riding in the “Redondel” (bullring). Attendees can also enjoy dozens of rides, parades, national and international concerts, mega-bars and nightly fireworks. Your appetite can be satisfied in many delicious ways, from fast food to traditional Costa Rican carnival food. Christmas and New Year’s Eve feature even bigger celebrations in Campo Ferial Zapote, accompanied by music, food and of course, plenty of fireworks. Topes are parades showcasing beautiful horses, horsemanship and cowboy outfits. San José’s “Tope Nacional” is one of the largest and most spectacular events of its kind, hosting about five thousand riders and more than a million viewers. Horse owners and farmers from across the country come to the capital to show off their prized horses and riding skills. Since Costa Rica is rich in farming and ranching tradition, Tope Nacional has become a holiday tradition for many Ticos. It takes place in Avenida Segunda starting at noon with a parade of horsemen, masquerades and comparsas filling the streets with music and joy. If you want to be part of the fun, don’t forget your cowboy hat, blue jeans and boots! While the Zapote bullring remains the traditional bull riding venue, Pedregal’s “Toros a la Tica” has drawn its own following in recent years. The six-day event features a bull riding championship, rodeos, live music, food and more. Admission costs 8,000 colones ($16) for adults and 5,0000 colones ($10) for children. Centro de Eventos Predregal in Belén, west of San José. Celebrating the patron saint of Palmares, this fiesta includes horse parades, live music concerts, the “Festival Ranchero,” fireworks, mega-bars and much more. It all takes place in Palmares, Alajuela, which is quick and easy to access from San José city center. Iluminacion de la Fachada del Museo de los Niños • Dec. 1 at 6:30 pm. Every year on Dec.1, San Jose’s “Museo de los Niños” (Children´s Museum) facade is illuminated with a light show, accompanied by music and entertainment. This free event includes a video on the facade of the building, lighting of over 4,000 lights, dancers, actors and fantasy characters to delight the youngest at heart. Lining up Calle 4, at Centro Costarricense de Ciencia y la Cultura complex, will be a “safe zone” with activities for families starting at 1 p.m. that afternoon. This amusement park is sure to amuse everyone. Enjoy fun-filled times on roller coaster, water coaster and many other favorite thrilling rides, plus a train and arcade. Throughout December, the park will be decked out in Christmas decor and offering special seasonal activities, including live music and dances. Parque Diversiones is located in La Uruca, two kilometers west of Hospital Mexico, Avenida 59, San José. Dec. 2, 10:30 a.m. — 12:30 p.m.
A newly minted Costa Rican tradition is to watch this holiday take on the famous fairytale, Alice in Wonderland. The performance brings together the country’s best classical ballet, contemporary, urban and jazz dancers. The renowned Costa Rican musical group of four talented singers performs traditional and pop holiday songs. In the same Tico spirit of celebrating Christmas, every corner of San José, every house and every street will be beautifully decorated, as well as all the shopping centers and plazas. We make time in our schedules to take in all the sights and sounds of the season. Over the years, we have adopted different traditions from other countries, only to make them our own like drinking rompope, our version of eggnog. We merge them with the culture and traditions that define us as Costa Ricans but of course, without losing our own identity. Our essence is to be preserved and protected at the roots for coming generations to pass on in turn. Comparsa: a group of singers, musicians and dancers that take part in carnivals and other festivities in Spain and Latin America. Fiesta: Spanish for festival or party, including religious festivals in some traditional cultures. Masquerade: Event or activity where participants wear masks and costumes.